Here's your chance to own a luxury sedan than is a pleasure to drive and also environmentally friendly. 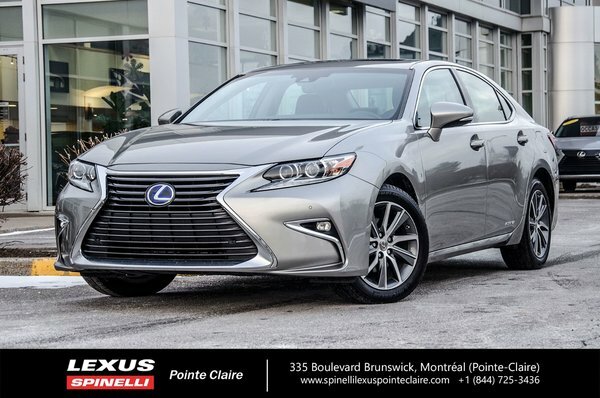 This beautiful 2016 LEXUS ES300h is in excellent condition and used to belong to one or our managers that traded it in for a new 2019 ES300h. Book a test drive and meet the previous owner and ask him anything you like about this rare and sought after car. 100% transparency. CARFAX vehicle history report and Lexus maintenance history report available. Always maintained at Spinelli Lexus Pointe-Claire. Nice color combo of Atomic Silver on Premium Black leather. This is the Executive package which is the highest package for the ES300h.